AmEx: NFC Connection Possible with New Mobile Checkout Service | NFC Times – Near Field Communication and all contactless technology. 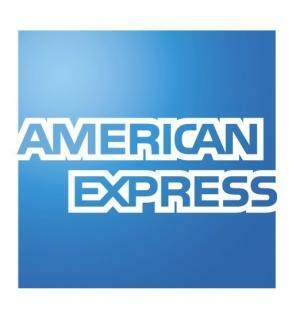 American Express is planning to launch a global mobile checkout service, but one not yet supporting NFC. American Express today announced plans to create a global mobile-payment checkout service, working with startup company Payfone to enable consumers to pay with just their mobile phone numbers–though not yet with NFC. AmEx, which also announced it is the leading investor in a $19 million funding round for U.S.-based Payfone, said it would combine the startup’s payment authorization and processing service with its own recently announced Serve digital-payment offer. Serve lets consumers use their mobile phones and computers to send and receive money and shop online with a prepaid account they fund with their U.S. bank accounts or credit or debit cards. Users also can get a reloadable Serve prepaid card they can use to pay at shops, restaurants and other physical merchant locations that accept American Express. Payfone adds a "simple and secure checkout capability," said Dan Schulman, AmEx group president, enterprise growth, in a blog statement. "With Payfone, consumers can purchase digital and physical goods using their mobile phone number and charge it back to their monthly mobile bill, bank account, credit card or Serve account," he said. Schulman told NFC Times in a statement that the service could support NFC "down the road," though did not offer specifics on this or how AmEx could apply the new payment service to offline purchases, that is, those at the physical point of sale. Payfone is apparently already working on NFC. In an obvious reference to the technology, the startup notes on its Web site that its goal is to expand in two years from enabling consumers to purchase online on their computers, tablets or mobile phones to enabling people to pay for all goods and services, "even when you pay by waving your phone in front of a reader at the checkout line." Payfone CEO Rodger Desai, however, was more vague in an e-mail statement to NFC Times. He said that Payfone’s system is "focused on digital transactions, which includes purchases made on your mobile phone or online," adding: "As technology and standards evolve, Payfone’s system is architected to be open and able to embrace all payment and billing standards, such as NFC." While AmEx has been following NFC developments closely and is a member of the NFC Forum standards and trade group, the company–unlike competing card networks Visa and MasterCard Worldwide–is not believed to have participated in any public NFC trials. It probably has tested the technology internally, however. AmEx also issues contactless cards in the United States, and its ExpressPay brand is accepted on terminals at nearly all of the total 100,000 to 150,000 merchant locations that also accept Visa payWave, MasterCard PayPass and Zip from Discover Financial Services. For speedy transactions, AmEx would likely need to get its ExpressPay application loaded onto secure chips in NFC phones. Transactions conducted over the mobile network would take too long to be acceptable for many types of merchants, such as fast-food outlets, convenience stores and supermarkets. Payfone uses mobile operators’ existing signaling network, SS7, to help verify its account holders. The network also enables the Payfone system to work anywhere in the world where there is a mobile signal. The startup might be working on NFC to enable consumers to tap their phones to automatically launch this network-based payment system. What is Amex Serving up? Markeing Hype.. Payfone is a non starter with carriers.